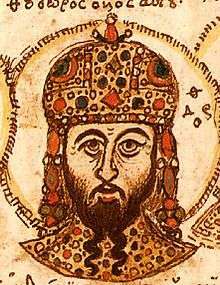 Theodore II Doukas Laskaris or Ducas Lascaris (Greek: Θεόδωρος Β΄ Δούκας Λάσκαρις, Theodōros II Doukas Laskaris) (1221/1222 – August 16, 1258) was Emperor of Nicaea from 1254 to 1258. 1 2 3 4 Rosser 2011, p. 460. ↑ Nicol, Donald M. (1993). "The price of survival". The Last Centuries of Byzantium (1261–1453). New York: Cambridge University Press. ISBN 0-521-43991-4.